The most successful Train Robbers in the Wild West! Starting in 1886 through the 1890’s a gang of outlaws, The Wild Bunch, became famous on the frontier for their successful string of train and bank robberies. Lawmen were baffled at how the gang would pull their heists and then just disappear. Butch and the Sundance Kid were the ringleaders of the Wild Bunch. Butch was known for his brains, charisma and sense of humor. The Sundance Kid, just a teenager, when he joined was known for his fast gun. Other well know members of the gang were a towering outlaw named “The Tall Texan” and William “News” Carver who got his nickname because he liked to see his name in the paper. Then of course there was the wildest and meanest of the Wild Bunch, Kid Curry, who was involved in many shootouts and killed at least 11 people, some reports suggest even more. A trademark of this band of outlaws was that they would just disappear after a robbing a train or bank. After the robbery occurred, posses, a group of men made up of anyone that would help the Sheriff or Pinkertons, would go after the gang. Following a robbery the outlaws would hole up in secret hideouts across Wyoming and the Dakotas. By 1899 the gang had robbed the Union Pacific railroad one too many times. Each time they would escape with thousands of dollars. The Union Pacific stepped up its pursuit of the Wild Bunch. With these changes The Wild Bunch soon realized that the business of robbing trains was too risky. The gang split up. 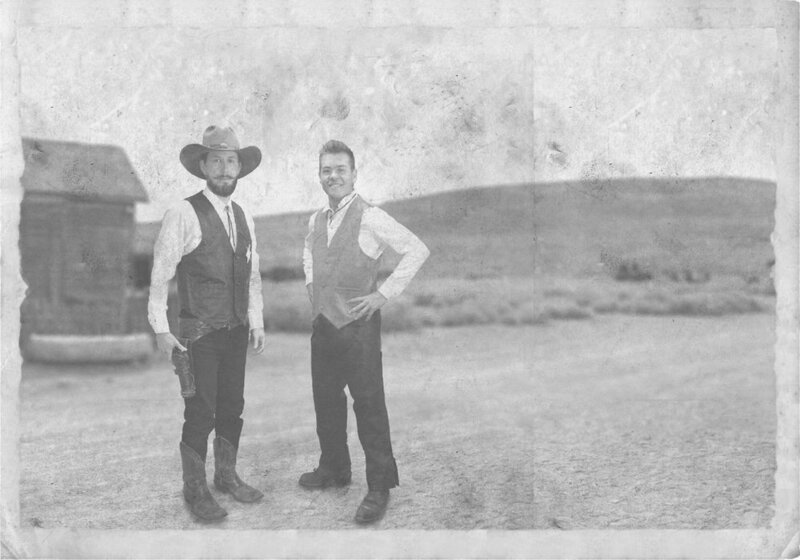 Find out what actually happened to The Wild Bunch in the full Story Behind the Adventure included in “The High Desert Train Heist: Trains of Time Volume 2” - COMING SOON!